My ring was beautifully custom made at an affordable price, and I couldn’t be happier. 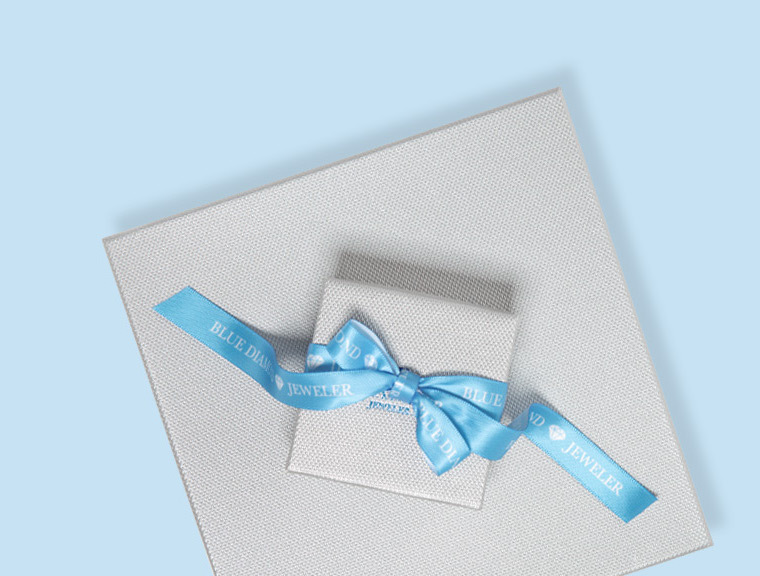 For as much as we love to design jewelry, we also love inviting our customers to do the same. So many of our clients have shared their vision in the hopes that we can bring it to life. Not only are we able to do so, but we can accommodate any budget. Allow us to show you how special this process can be! affordable price, and I couldn’t be happier. Missy and Chris had the good fortune of meeting through mutual best friends. Missy’s best friend had actually dated one of Chris’s friends and mentioned how she believed the two would hit it off, and they did! 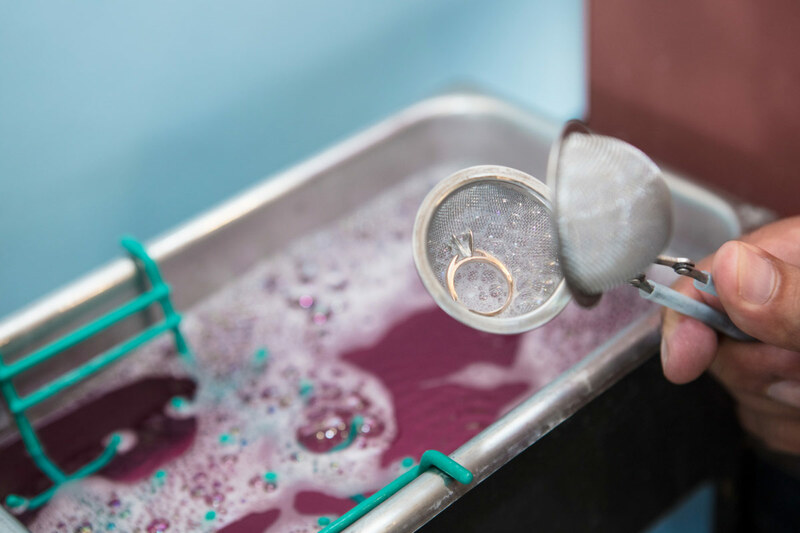 Ensure that your jewelry stays beautiful and secure by having it professionally cleaned and inspected by our in-store jewelry experts. 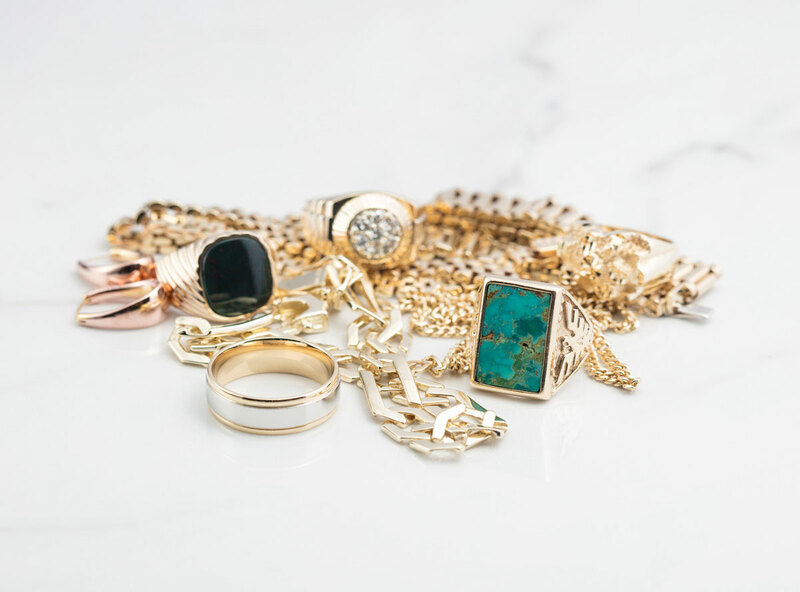 Everyone can take advantage of our repair services, no matter where your jewelry was purchased. Shopping for an engagement ring? 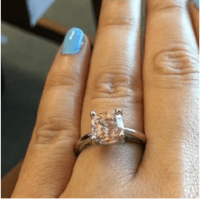 What makes a ring sparkle? How can I spot diamond blemishes? What are the different ring settings? What are the risks of buying online? 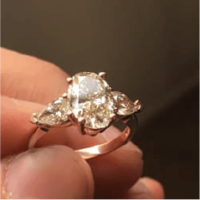 How can I design a unique ring? 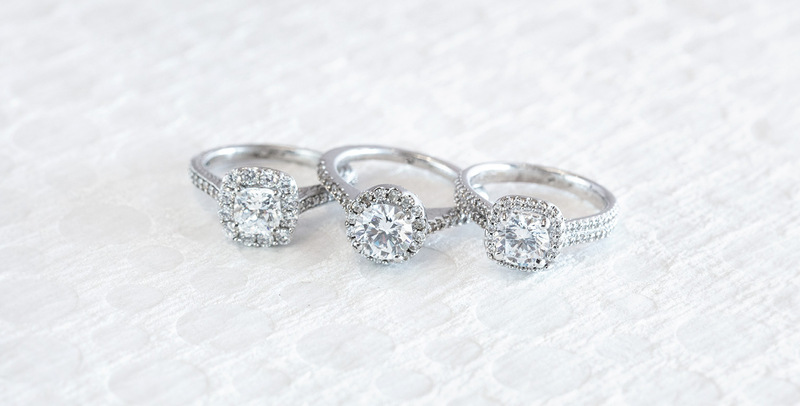 There are many questions to consider when investing in a piece as important as an engagement ring. We understand your concerns, so by popular demand we’re offering our 40+ years experience to your decision-making. For one hour our master jeweler will walk you through everything you need to know about jewelry – and yes, you can ask as many questions as you’d like! 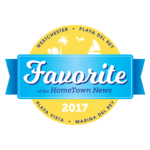 For special gifts on your birthday or anniversary, or to hear about our latest promotions and events, please subscribe to our mailing list. 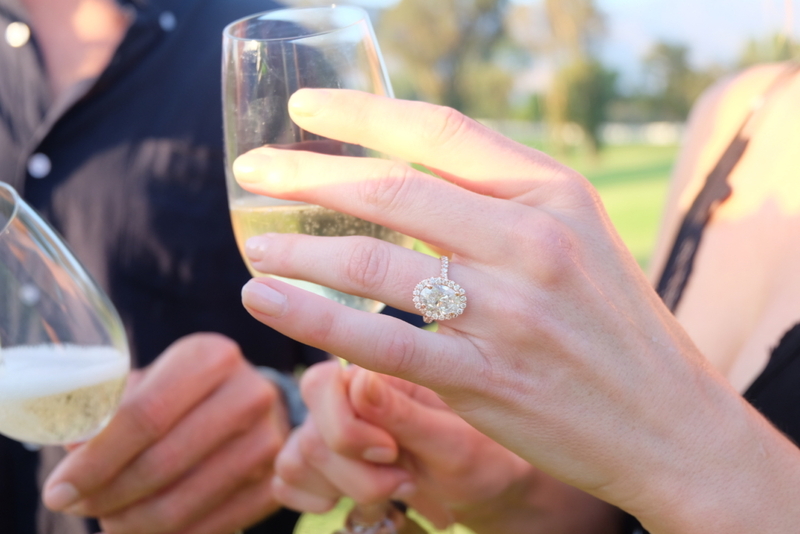 We love to hear proposal stories from our clients. It’s even better to see the photos.